An elevator does not stop at 2F for security. Please use the emergency staircase in the left-hand side of 1F elevator. 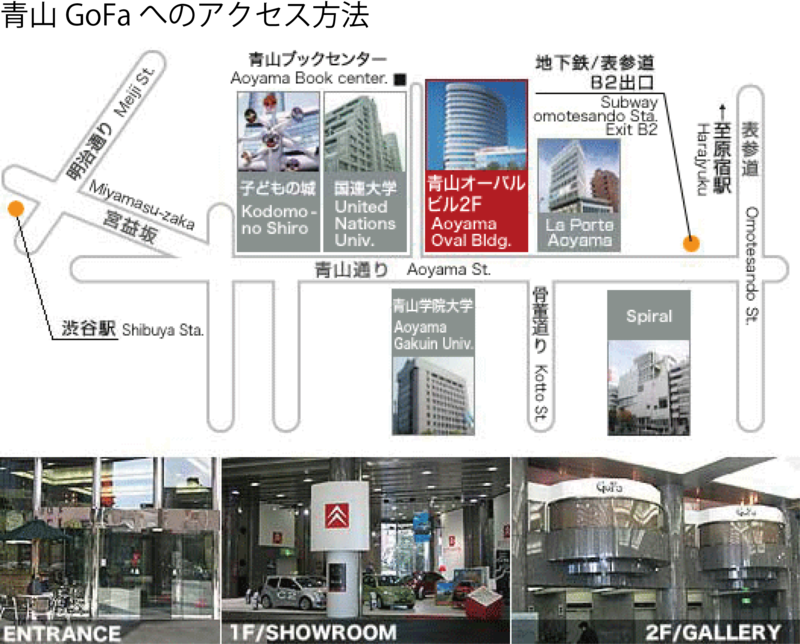 Omotesando station (Ginza Line, Chiyoda Line, and Hanzomon Line) It is on foot 3 minutes from B-2 exit. It is on foot 10 minutes from the Shibuya station (a JR line, Tokyu Lines, Ginza Line, Inokashira Line).